Two major South Asia related research projects are going on within the department, one on ”Domestic Violence against Women”, and the other is about ”Adolescent Sexual and Reproductive Health”. 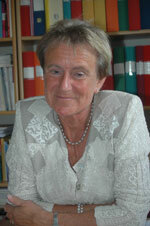 Gunilla Krantz has been working at the department since 2006. She also has some work at the Department of Public Health Sciences, Division of International health(IHCAR), at Karolinska Institutet Medical University in Stockholm. Previously, she has worked at the Centre for Health Equity Studies (CHESS), jointly run by Stockholm University and Karolinska Institutet. Dr. Krantz has supervised (at IHCAR) two university teachers from the Aga Khan University (AKU) in Karachi, Pakistan, involved in a Sandwich PhD programme, see below. In order to increase the exchange of teachers and students between AKU and Swedish institutions, Gunilla Krantz in 2007 applied for an Institutional Grant from STINT, the Swedish Foundation for International Cooperation in Research and Higher Education, and on 12 April 2007, STINT decided to award such a grant in support of long-term collaboration between Swedish and foreign research groups to this project. It was one out of 17 projects that were given Institutional grants from STINT. As part of the teachers’ collaboration funded by Stint, four senior researchers from University of Gothenburg, Karolinska Institute and Umeå University, Sweden visited Aga Khan University (AKU) in Karachi in the period 12th Sept to 24th Sept 2008. During this period workshops were held in collaboration with teachers at Aga Khan university directed at faculty at AKU. The themes to be discussed were ‘Gender and Health’ and as well ‘Qualitative Methods’. On the Swedish side, the Department of Public Health and Community Medicine in Göteborg collaborates with IHCAR at Karolinska Institutet. Syed Farid-ul-Hasnain defended his doctoral dissertation entitled ”Young Adults in Urban Pakistan; Barriers and Challenges for Improving Health Behaviors in the wake of the HIV/AIDS Epidemic” at Karolinska Institutet on Thursday 16 September 2010. He was supervised by Professor Krantz. More information. Tazeen Saeed Ali is supposed to defend her doctoral dissertation at IHCAR in 2011. In late September 2011, a Sida financed workshop will take place in Sri Lanka on Violence in intimate relationships, attracting doctoral students from several countries including a number of Swedish PhD candidates. Two persons– health promotion experts – from Rajarata University in Mihintale, Sri Lanka, will attend and their university will fund their PhDs that hopefully will then be carried through at University of Gothenburg. Professor Lauren Lissner leads a research programme in the field of overweight in very young children: This project sets out to investigate completely new paradigms in the area of obesity research in childhood. The project will be carried out in collaboration between the department and Healis Sekhsaria Institute for Public Health (Healis) in Navi Mumbai, India. Preparations are underway for the field survey in Mumbai which was supposed to start inthe fall 2010. Abstract: Important differences exist in lifestyles and nutritional status between European and Indian Children. Urban India is rapidly transitioning nutritionally and epidemiologically into patterns of diet that are convenience based and high in fat and sugar, while rural India is still experiencing poverty-related conditions. These differences between urban and rural india and the Swedish children belonging to a ‘developed’ society will be the basis for investigating differences in the metabolic effects of varied food patterns and lifestyles within the different family and social environments. More information on the project (only in Swedish). In November 2008 this project titled, ‘Determinants and health consequences of overweight in Children from India – Extension of a European multicenter study” was granted 600 000 SEK from the Swedish Research Links (Asian–Swedish research partnership programme) for the three years period 2009–11 by Sida and the Swedish Research Council. 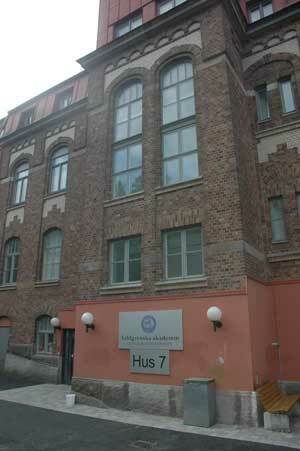 More information on the Swedish Research Links grants 2008. The researcher Sreevidya Subramoney is involved in the project along with Dr Prakash Gupta, Director, Healis, who has longstanding expertise and experience with epidemiological studies. Professor Lissner will be the lead investigator.